Dateline Bangkok: Are We There Yet? 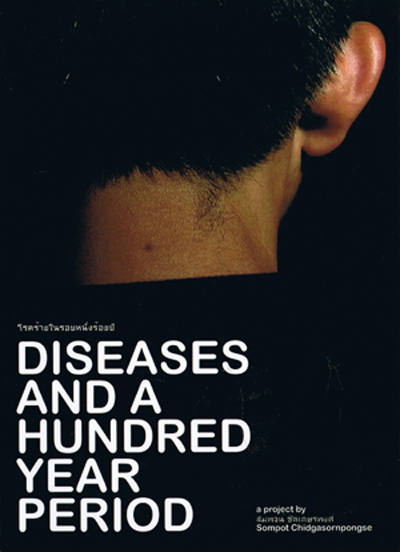 Sompot Chidgasornpongse's short film Diseases & A Hundred Year Period will be screened at Dam'n Cineclub in Bangkok, a new film venue co-founded by Nontawat Numbenchapol (director of Boundary) and Abichon Rattanabhayon. 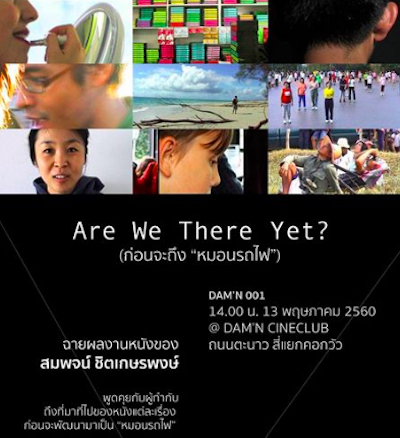 The event, titled Are We There Yet?, will be held tomorrow. Sompot's film was previously shown at the 12th Thai Short Film and Video Festival, โปรแกรมหนังสั้นไทยคัดสรร, and Six Degrees of Separation.